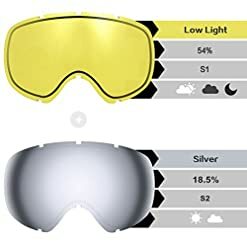 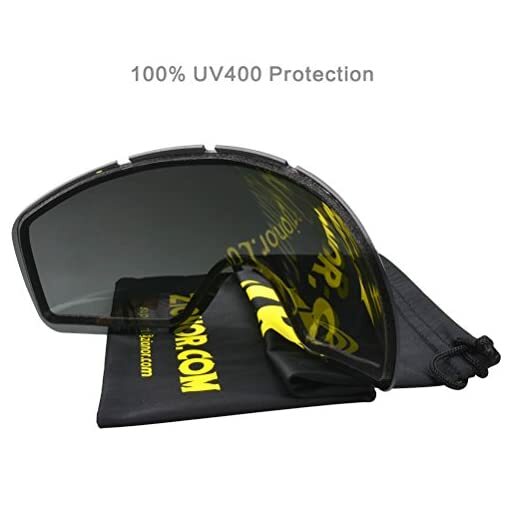 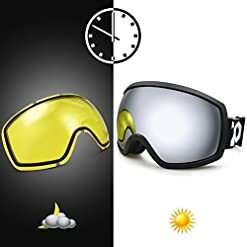 Fog-resistance and 100% UV400 Protection – Double layer lens and Italian-made inner PC lens with top-grade anti-fog and glare-cutting function, protect your eyes on the slope and save the trouble from consistant fogging. Two-way venting system – Ventilation system on top and bottom side enhances air-flow and reduce the fogging when skiing or snowboarding in high speed and exhaust hot air from face quickly. Great Comfort Wearing – Triple layer foam with sweat-abosorbent and good breathable features. Fit tight and soft on face. ZIONOR delivers superior quality goggle with durable material, innovation design and professional pre-sale, after-sale service and solid warranty policy. 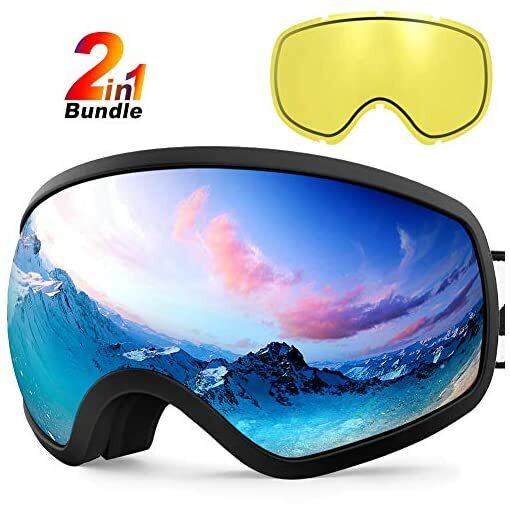 Our Lagopus series dual-lens goggles featured with anti-fog, anti-wind and 100% UV400 protection to protect your eyes when skiing, snowboarding and other snow sports. 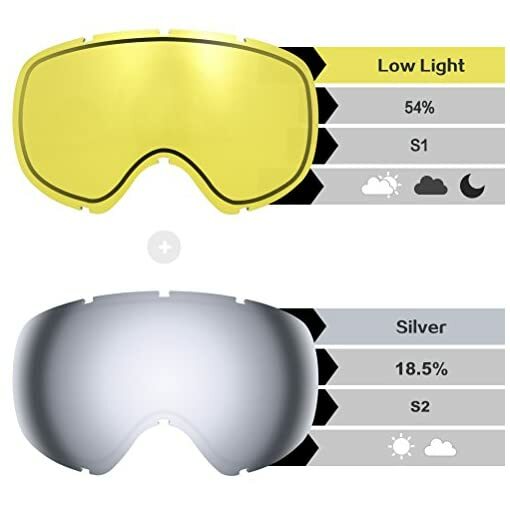 Clear vision at day & night in all weather condition: Different lens VLTs offer great panoramic vision and clean sight for all the way down from hill. Compatible with your own sport gears: The Lagopus series snow goggles come with adjustable extra-long head strap which compatible with helmet and different head size for both men and women. 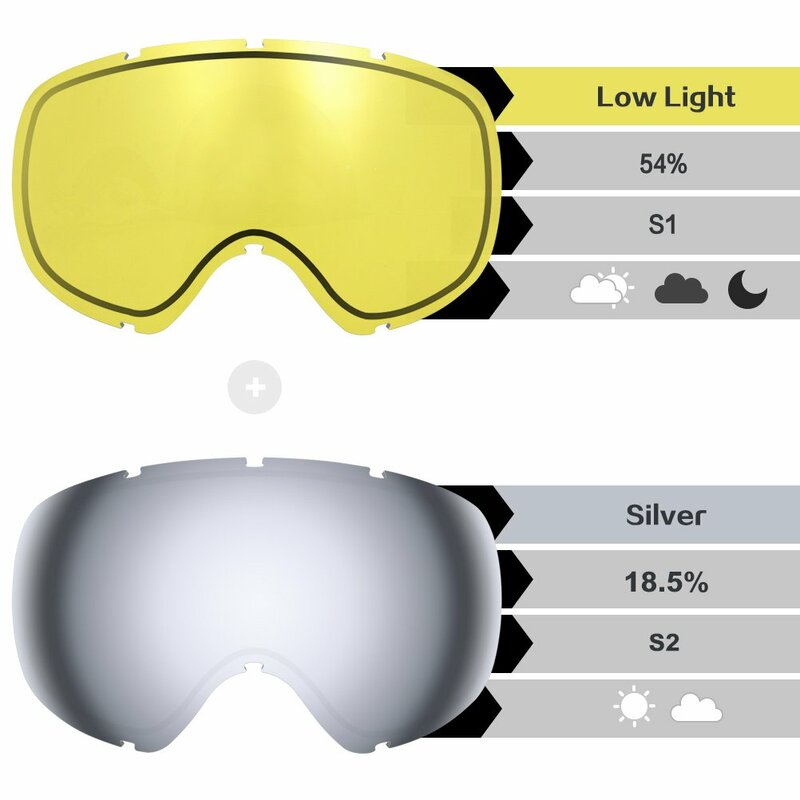 – Anti-fog and two-way venting for clear and clean vision. 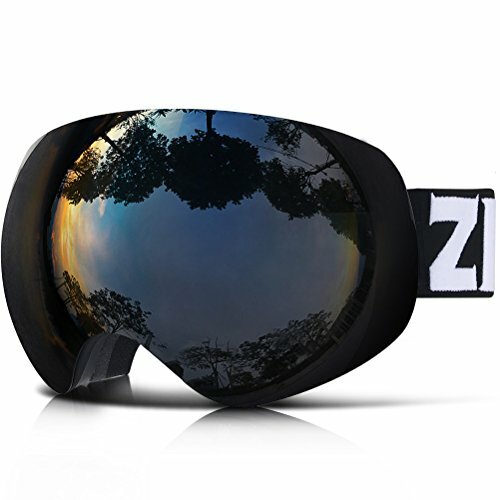 – Comfortable triple-layer foam for face fitting. 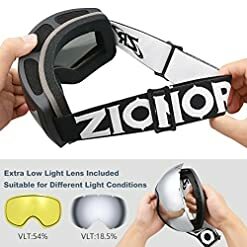 – Elastic strap for better helmet compatibility. 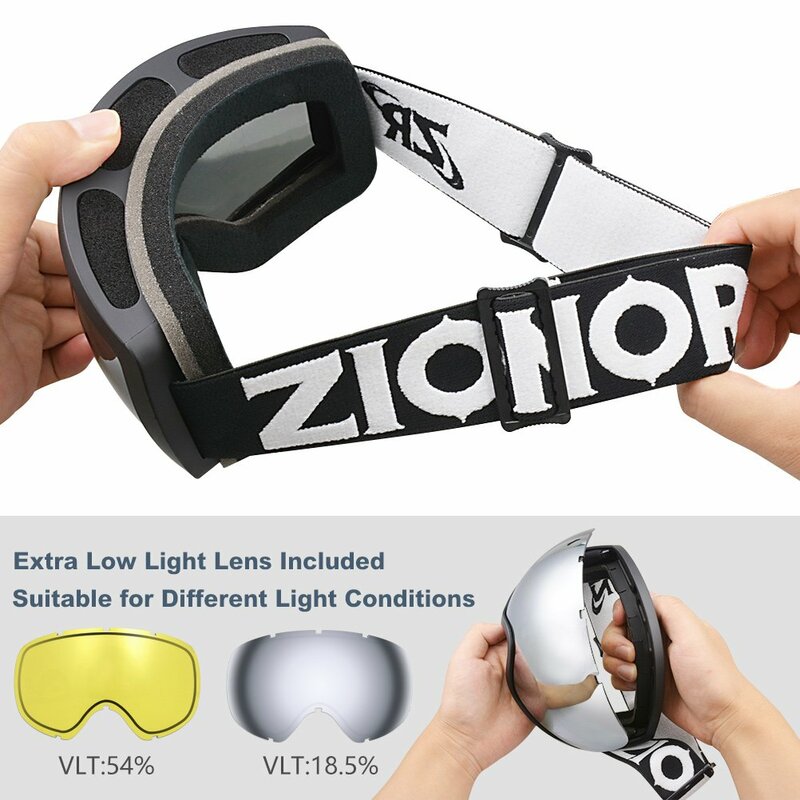 – Please do not use finger or rough cloth to wipe and clean the lens as they will either stain the lens or reduce the anti-fog effectiveness. – Please keep the goggle in the pouch or box instead of facing on the ground or desk. 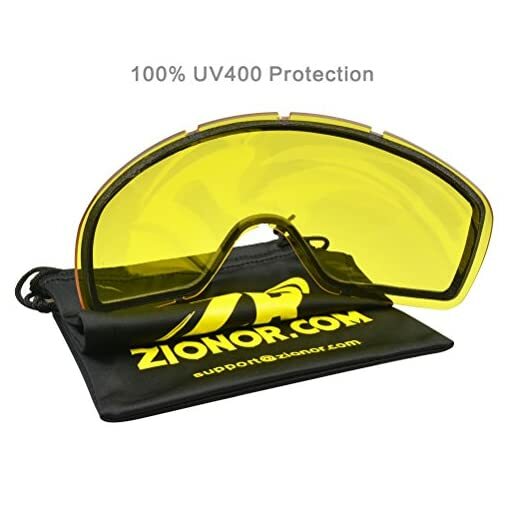 – Please do not use mascara or other oily substance in case lens gets dirty. 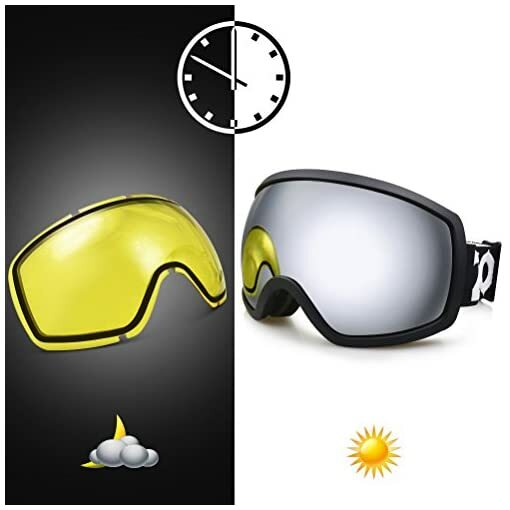 – Please maintain ventilation of goggle or use hairdryer for perspiring after snow sport. 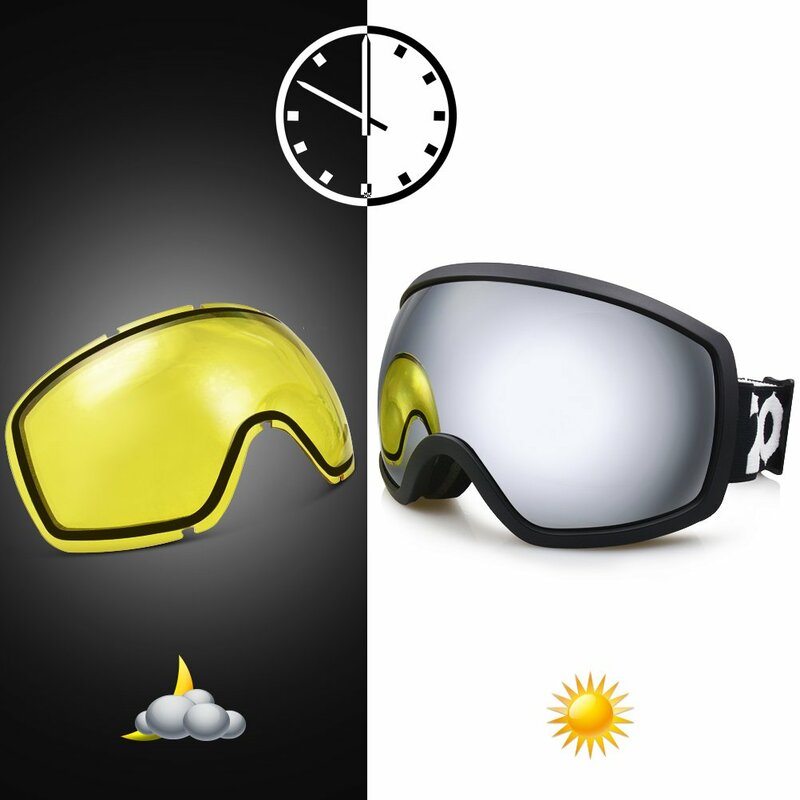 – Please do not wipe the inner lens which will reduce effectiveness of anti-fog. 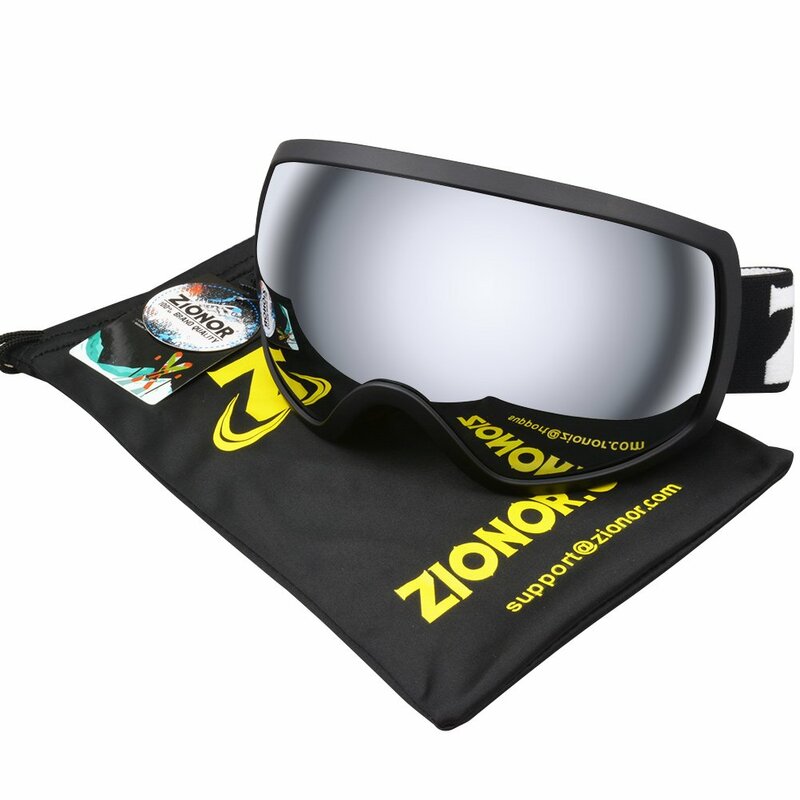 Simple and Sleek Design – Low profile appreance with full REVO lens, suitable for skiing, snowboarding, snowshoeing and etc. 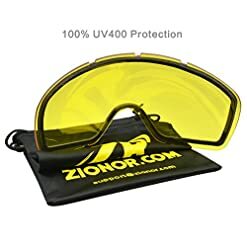 Strong and Durable – Made of high-end TPU and solid lenses, ZIONOR Lagopus goggles is going to protect the eyes from impact, falling off and other incident.